“We are very pleased to win such a distinguished award: ‘Best Cargo Airline of the Year for Africa’ in the prestigious annual awards organized by Air Cargo News while we are celebrating our 70th year anniversary. 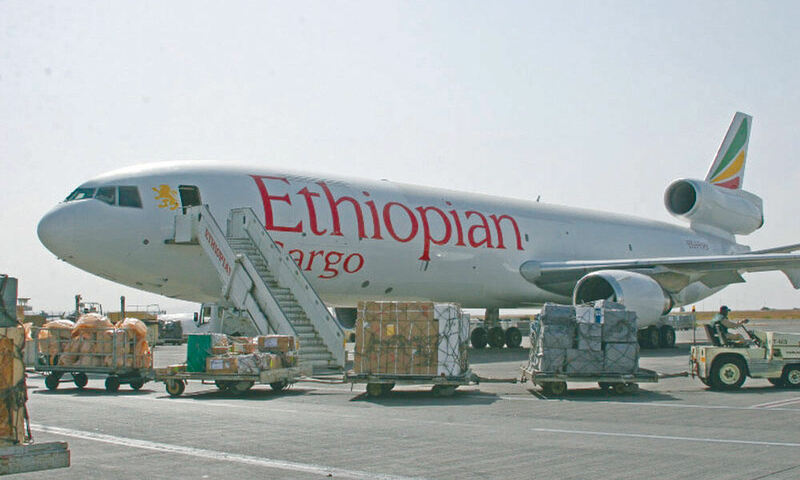 Ethiopian Cargo Services, the second largest Strategic Business Unit in the Ethiopian Airlines Aviation Group, has been leading the continent with the largest and efficient air cargo network of connectivity with Europe, North America, Middle East, and Asia for African exports and imports,” Tewolde GebreMariam, the Group CEO of Ethiopian Airlines said. Roger Hailey, editor of Air Cargo News said: “Once again the air cargo industry has proven that innovation and customer service go hand in hand with efficient and secure global supply chains. Ethiopian Cargo currently operates to 30 destinations in Africa, the Middle East, Asia and Europe using six B777 and two B757 freighters. The Airline also carries freight in the belly of wide body passenger aircraft, B777/B787, to 92 destinations across the Globe. Some of the major cargo destinations are: Belgium (Brussels and Liege), Hong Kong, Shanghai, Bombay, New Delhi, Dubai, South Africa, Lome and Lagos. The awards are based on the voting results of more than 18,000 supply chain professionals over a two month period, including shippers, the and their logistics partners.